What is cooler? Cake or Pie? I mean, you got the all time favorite birthday cake, and pretty much every “pastry” (scone, donut, brownie, etc.) is all part of the cake family. Pie on the other gets no love. The only place showing them love is Mairie, and all the great diners. When I say great diners, I mean in the east coast. 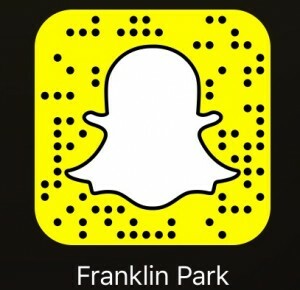 What do we have? What does Lost Angeles have? 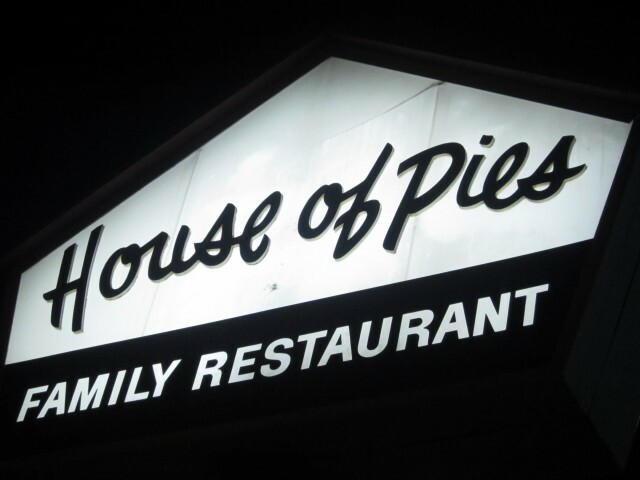 I guess we have House of Pies. 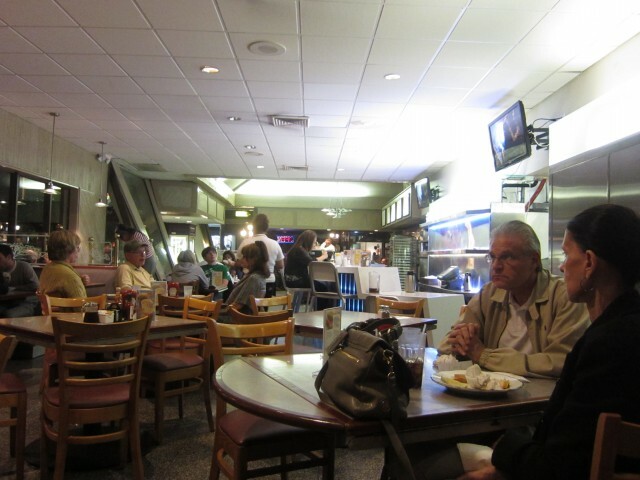 A unique and one and only, the the restaurant is a casual style diner that has been around for nearly 40 years. I always had their pies on certain occasions and they are quite good. I never ate there personally, so I had to give it a try. The food is down to earth and is comforting on all fronts. Even the waitresses are sweet ladies. I would say though, their pies are superior to their food items, but it’s still a nice casual spot to have breakfast, lunch, or dinner with friends and family. When I saw chicken wings and waffles on the menu, I was elated. It was exactly what I wanted and I heard their fried chicken is something to consider. The chicken was superb as it was juicy and crispy. I hate it when I bite into fried chicken and the meat is either dry or drenched in grease. Theirs was clean tasting and the crispy batter was surprisingly delicious. The waffle on the other hand just got by. It wasn’t anything special and the batter could use a little work. It wasn’t crispy or tasty — it was more for show. 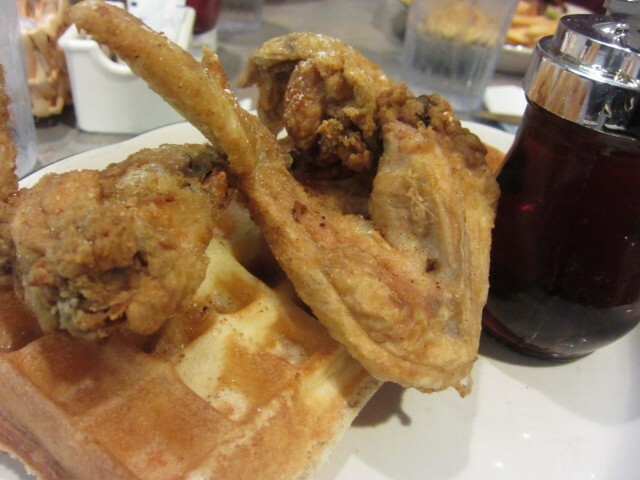 Hand’s down, the waffles at Roscoe’s are superior. The chicken though, they can hold their own. I had a bite of their burger — the bacon avocado burger named the Frisco Burger. This was just a standard burger. 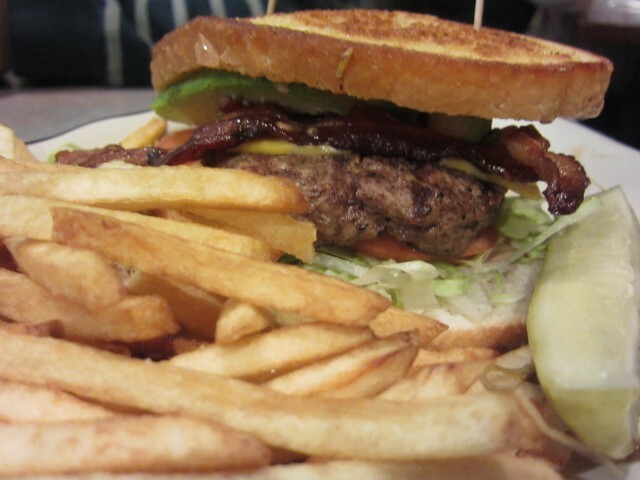 the patty wasn’t anything special, but the bacon was nice with the creamy avocado. The sourdough was a nice switch from the boring hamburger bun. This burger wasn’t special for me though. It wasn’t overly juicy or flavorful. I know it’s a shocker. I didn’t get pie this time! Honestly though, the food isn’t something to consider. It is your basic diner food — boring in every sense. The pies are quite decent, but then again, I am all about cakes. Birthday cakes, wedding cakes, cake donuts, I love them all. I am not a fan of most pies, meat pies, fruit pies — I’m just not a fan. I guess I am biased in a way. I mean, if this place was called House of Cakes, I would be all over it. I guess if you like diner food and love pies, this would be heaven. For me, just give me my fried chicken wings and I will be on my way.